We are a new hostel opened at 2016 August. The hostel design is simple but covers everything a backpacker needed. The common area is big and cozy. We offer a good place for not only backpackers, but also for family and friends.In our lounge there are comfortable sofa and free coffee & black tea. For this place, it’s more than a relaxing and chatting common area, but a multi-functioned living center, here you can use a projector for an appointment or teaching a class, or you can use computers with internet connection, also there is self laundry zone which is easy for our guests to use. We are located in Zhonshan district, Taipei, near Nanjing-Fuxing MRT and Songjiang-Nanjing MRT, both about 10 minutes walk. There are many convenient stores and local food stores nearby, and easy to access many sightseeing places and shopping spots in Taipei. ith vivid and bright colors, the sense of wall arts are lively and full of energy. 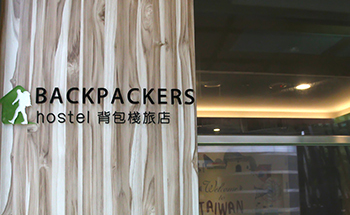 Backpackers Hostel – TaipeiChangchun not only provides a good place for rest, but also offers a lot of tourist information and best play plans for our guests, which we try to approach your need with a polite and professional attitude, and above all, an enthusiastic mind. 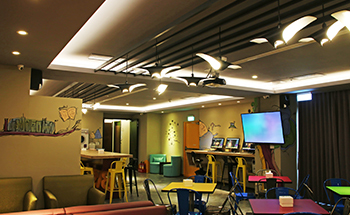 No matter you like to adventure or you like a thorough plan, it’s time to share your memories with us at Backpackers Hostel – TaipeiChangchun!